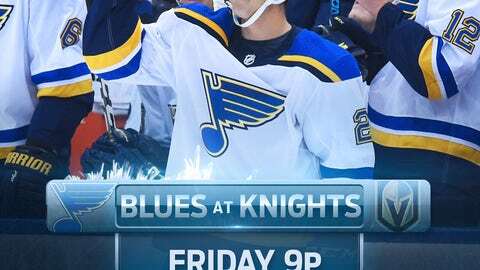 St. Louis is singing the blues coming into Las Vegas on Friday night. The Blues face the Golden Knights coming off a 1-0 loss to a Chicago Blackhawks team that had lost eight straight games. Vegas, meanwhile, looked golden again in a 5-0 rout of Anaheim. The Blues, meanwhile, did not have fun in the loss to Chicago, and they now enter Friday’s game on a two-game losing skid and in last place in the Central Division, three points behind the struggling Blackhawks. The Blues are having trouble putting games together in which their offense and defense both play well.